Answer set programming (ASP for short) is a declarative problem solving framework that has been recently attracting the attention of researchers for its expressiveness and for its well-engineered and optimized implementations. Still, state-of-the-art answer set solvers have huge memory requirements, because the ground instantiation of the input program must be computed before the actual reasoning starts. This prevents ASP to be effective on several classes of problems. 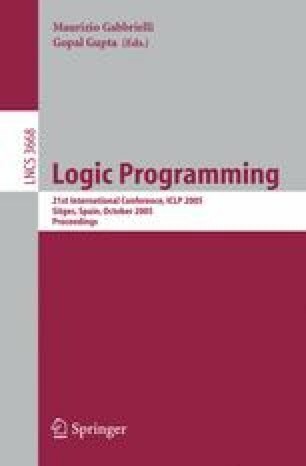 In this paper we integrate answer set generation and constraint solving to reduce the memory requirements for a class of multi-sorted logic programs with cardinality constraints. We prove some theoretical results, introduce a provably sound and complete algorithm, and report experimental results showing that our approach can solve problem instances with significantly larger domains.